Tarlow Breed Hart & Rodgers, P.C. provides legal counsel to businesses, individuals, and families, often spanning multiple generations. The firm’s expertise includes negotiating complex business transactions; providing sophisticated tax, estate planning and business succession strategies; litigating high value business and fiduciary disputes; purchasing, financing and leasing real property; and resolving family law and marital conflicts. The firm’s lawyers have the knowledge and experience to provide our clients with unwavering and compassionate representation in our areas of expertise. 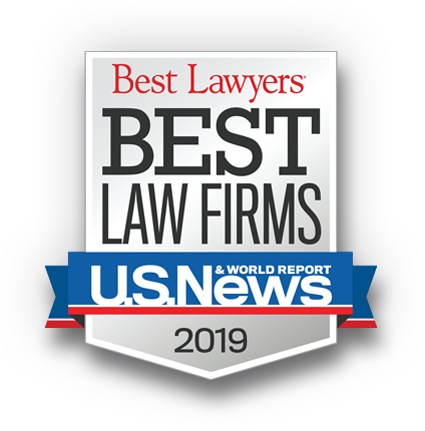 We are pleased to announce that Tarlow Breed Hart & Rodgers has once again been ranked as one of the "Best Law Firms in America" by U.S. News & World Report-Best Lawyers. These rankings are based on a rigorous evaluation process that includes the collection of client and lawyer evaluations, peer review from leading attorneys in their field, and review of additional information provided by law firms as part of the formal submission process. We are honored to receive this recognition. With a new strategic vision and a complete brand overhaul, TBHR is ready for tomorrow’s legal issues. A word about our new logo. The logo was designed by Agency 451 in Boston. We hope you enjoy reading their description of the thought and creativity that went into the new design as much as we did! Patricia Saint James, a partner with the Boston, MA law firm of Tarlow Breed Hart & Rodgers, P.C., has been appointed to the Massachusetts Commission on Judicial Conduct (CJC), the state agency responsible for investigating complaints alleging that a state court judge has engaged in judicial misconduct or has a disability preventing him or her from properly performing judicial duties. Attorney Saint James was appointed by the Chief Justice of the Trial Court and will serve a six-year term as one of the Commission's three lawyer members. Tarlow Breed Hart & Rodgers, P.C. is pleased to announce the election of Karen L. McKenna, Esq. as a partner in the firm. Attorney McKenna practices in the firm's Estate Planning & Administration and Taxation departments. Attorney McKenna joined Tarlow Breed Hart & Rodgers in 2002. Previously, she was an associate with law firms in Pittsburgh and Boston. Before starting her law career, Attorney McKenna worked as a private accountant in Boston. She concentrates her practice on advising individuals in the areas of estate, gift and generation skipping transfer tax planning and compliance, as well as probate and estate administration. 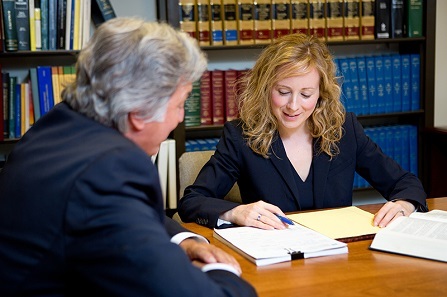 Attorney McKenna also works with the firm's litigation department on probate related cases. Karen McKenna is a graduate of the University of Massachusetts at Amherst and the Duke University School of Law. She is a resident of Scituate, Mass., where she serves on the Board of Directors of the Scituate Animal Shelter and volunteers as an adoption counselor and animal caregiver. We are pleased to announce that Tasnuva "Taz" Islam, J.D., has joined the firm as an Associate in our Litigation Department. Prior to joining Tarlow Breed Hart & Rodgers, Attorney Islam served as a law clerk for Associate Justice Amy Blake at the Massachusetts Appeals Court, held law clerk and internship positions at several Boston area law firms, and interned with the U.S. Department of Labor and the Civil Division of the U.S. Attorney's Office in Boston. Taz is a graduate of the Northeastern University School of Law. She earned an undergraduate degree in Political Science and Public Policy at Brown University, and a Master's degree in Social Work at the University of Michigan.